Gum disease afflicts approximately 50% of American adults. No wonder severe gum disease (periodontitis) is the leading cause of adult tooth loss. The medical field has become increasingly interested in oral systemic health. The idea that poor dental health might heighten your risk for heart disease, strokes, diabetes, and Alzheimer’s disease has perked up the attention of doctors and dentists alike. Gum disease is treatable, but as of now the infection is incurable. Now that we’re starting to connect how detrimental periodontal infections can be to your health, are the efforts for finding a cure on the rise? In Australia, for example, scientists have uncovered fish oil as a prospective periodontal therapy. Celina, TX dentist, Dr. Angela Ganjoor would be happy to provide a cure for gum disease to her patients, and all the better if the compound was as simple as this. Fish oil is commonly touted in the medical profession for a variety of health benefits. Generally, the focus is on heart health. Considering the oral-systemic connection, however, it’s no wonder that one treatment might affect the heart and the mouth in a similar way. 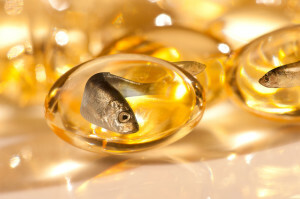 The omega-3 fatty acids which are a main element in fish oil have also exhibited benefits for patients suffering from depression, rheumatoid arthritis, and any condition that has underlying inflammation. You can’t really overdose on fish oil, though you should always check with your general physician before settling on and sticking to a dosage. High amounts of fish oil may upset your stomach or cause delayed blood clotting. Dr. Alison Coates from the University of South Australia led her colleagues from the School of Dentistry at University of Adelaide in Australia in a fascinating study. Their research began with a thorough review of eight separate trials involving fish oil ingestion. All of the research showed promising results for fish oil as a gum disease suppressant, but the combination of fish oil and aspirin was the most potent of all. Further studies have been scheduled in Australia. Dr. Ganjoor will examine you for signs of gum disease and provide treatment options when you visit for your preventive dental checkups. To schedule an appointment at our Celina dentist office, contact us at (214) 851-0130. 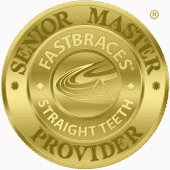 We serve patients of all ages from Celina, Prosper, McKinney, Frisco, Anna, Pilot Point, and the surrounding areas.